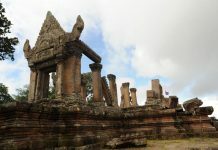 Decisions adopted at the 35th session of the World Heritage committee (Paris, UNESCO Headquarters 19-29 June 2011) PDF.English PDF.French,.. Decisions adopted at the 34th session of the World Heritage committee (Brasilia, Brazil 25 July – 3 August 2010) PDF. English, PDF. French, PDF. Summary,.. Decisions adopted at the 33rd session of the World Heritage committee (Seville, Spain 22-30 June 2009) PDF. English, PDF. French, PDF.Summary,.. 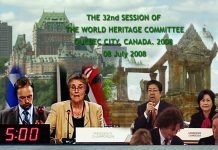 Decisions adopted at the 32nd session of the World Heritage committee (QUEBEC CITY, 2008) PDF. English, PDF. French, PDF.Summary,.. Decisions adopted at the 31st session of the World Heritage committee (Chrischurch, 2007) PDF. English PDF. 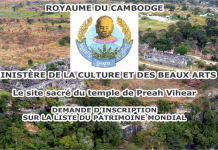 French, PDF.Summary,..
ICAPP on their visit to the Angkor Archeological​ Sites and the Temple of PV PDF,..
Preah Vihear Temple Draft decision PDF,..